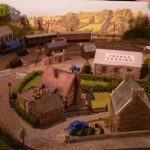 On Saturday 10thNovember, Friends of Cultra hosted a day for families and rail enthusiasts of all ages to view over forty exclusive layouts, models and associated displays. 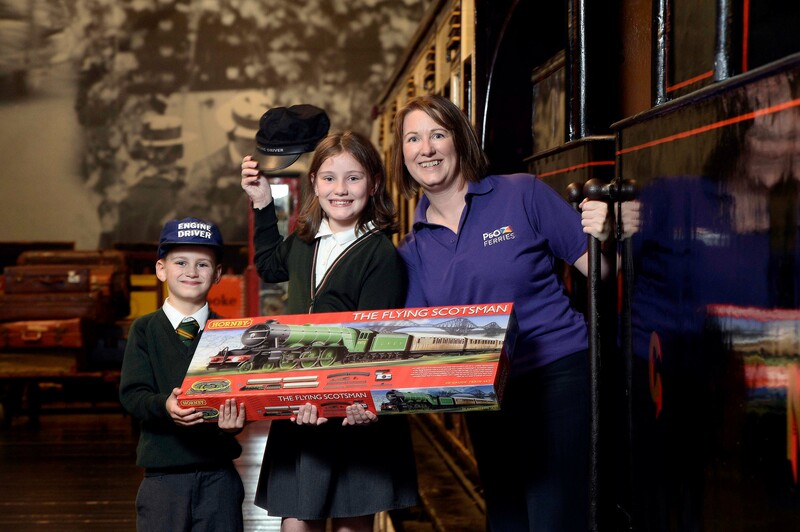 Visitors saw familiar faces and places such as Thomas The Tank Engine and Northern Ireland rail layouts all located in the unique setting of the full-scale locomotives and carriages in the Transport Museum’s Rail Gallery. 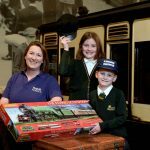 Key highlights for younger visitors at this year’s event included a replica model of the Thomas the Tank Engine branch line, ‘Ffarquhar’, from the famous stories of Thomas and his Friends. Other model train designs and layouts featured included the memorable cartoon characters Road Runner, and Postman Pat’s ‘Greendale Rocket.’ There was also a chance for kids to ride on a miniature train. 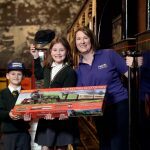 Model lovers had the chance to see a one of a kind model of Lisburn Train Station built entirely from Lego, complete with models of NI Railways trains. 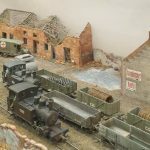 For fans of vintage railways, there were layouts based on Irish prototypes, including Castlederg, which closed 85 years ago in 1933, and Stanfording which features O gauge models of Irish trains. 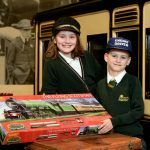 All aboard for Model Railway Day! Karen Wallace with Louise and Noah Sinclair.